Computational Medicine Night is a networking event geared towards students and trainees who are interested in learning about the academic discipline of Computational Medicine and the research conducted in ICM labs. 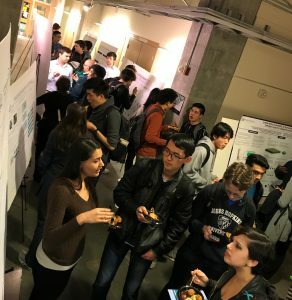 The event showcases trainee research and provides a forum for interested students to meet and mingle with ICM faculty, students, and postdoctoral fellows, to gather information about the Computational Medicine Minor, and to ask questions. Please register here to attend. Registration deadline: Feb. 26. Mingle with faculty, students, and postdoctoral fellows. View posters, ask questions, and enjoy dinner while you’re at it!